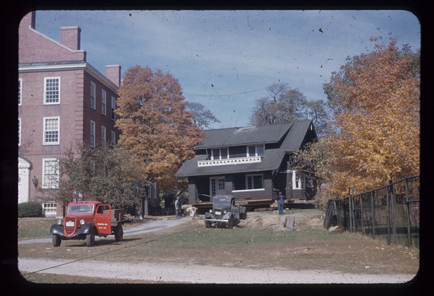 1951 was a year of big changes on campus. 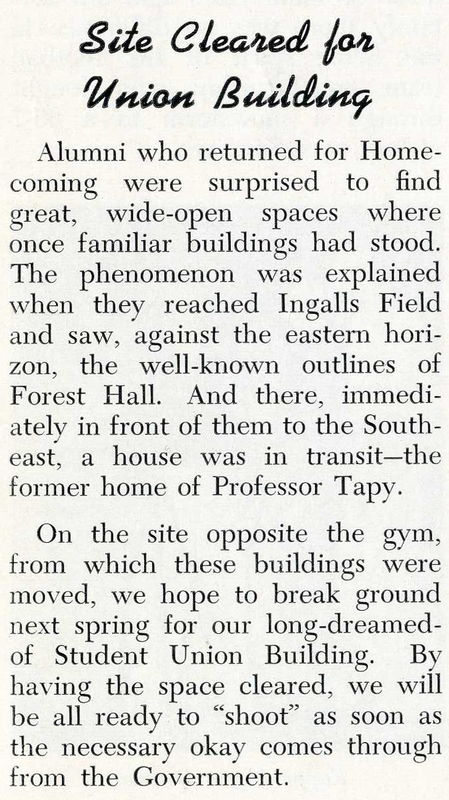 As the excerpt from the Wabash Alumni Bulletin of 12/1951 reports, alums on campus for Homecoming were surprised at the changes. 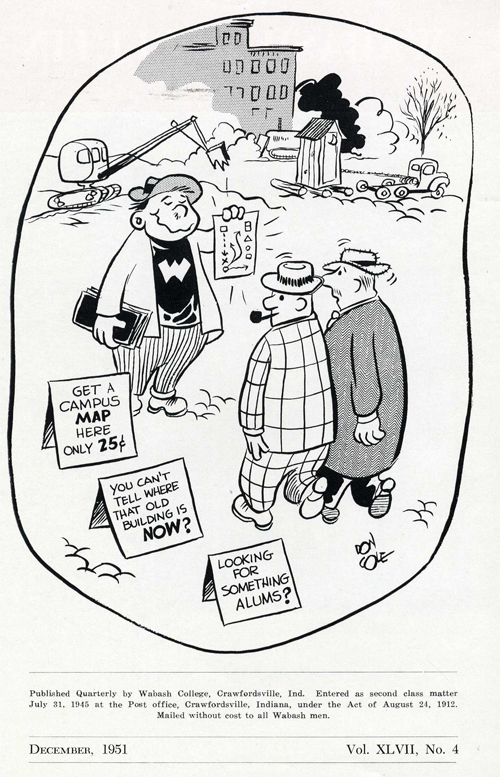 Don Cole and his clear-eyed cartooning caught the spirit of the surprised alumni with another of his fabulous Wally Wabash cartoons as an enterprising Wally offers maps to alums to help them find their way – for a small fee, of course! Gone is the old Forest Hall which was moved south of old South Hall. This is a picture of Forest in its new location. 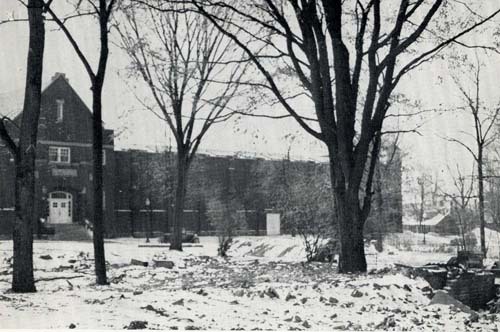 When the college moved Forest Hall again in the mid-sixties, the basement was repurposed for a campus services garage just south of Baxter Hall. In the article there is also a mention of the Tapy house in transit. Here is a photo of that in process. It looks like a bit of a tight squeeze between Goodrich and the Chapel. To alums, it must have been a little unnerving to return to Wabash and find everything so completely changed. But time marches on and all of this hubbub was in preparation for construction of the long awaited student union building – initially named the Campus Center – rechristened as the Sparks Center in honor of the president who was so passionate about a central place on campus where students, faculty and alumni could gather. The Scarlet Inn has served as the scene of many a heated, yet respectful, discussion. The Great Hall which offered a dining option for independent men and a place to host our own banquets. Prior to the Campus Center, our banquets were at the Masonic Temple or the Crawford Hotel. 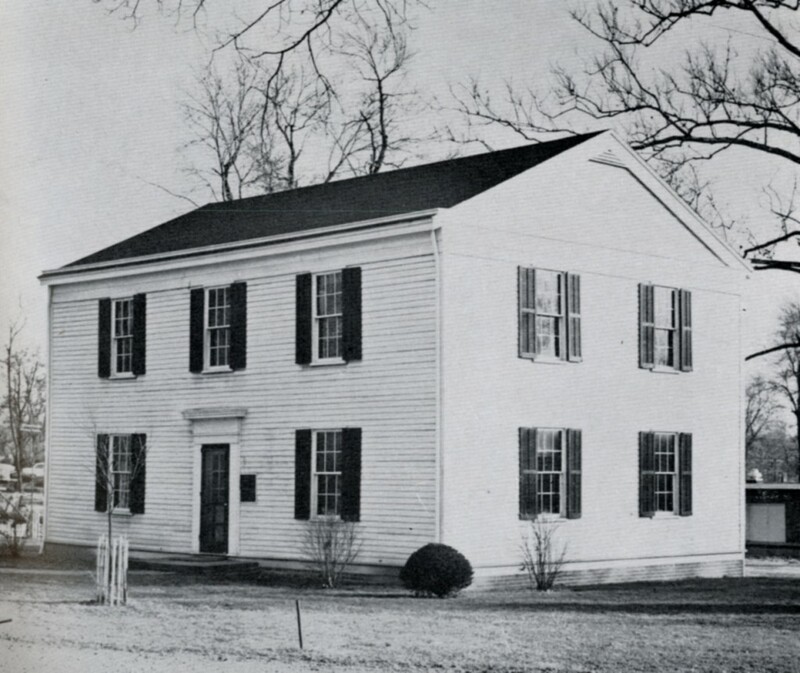 The Wabash College campus is a work in progress, never finished. What a change the Campus Center made in the life of the College with its bowling alley, pool tables, television and private café. Different needs for different times create a drive to improve the student experience. It has always been this way and will continue to be so. I just love to look back while at the same time wondering what will happen next at Dear Old Wabash. Over the holidays our family went to see the new Spielberg movie about Abraham Lincoln. We really enjoyed it. I was especially interested in the sets and costumes and very interested too in the portrayal of Mary’s companion and dress maker, Elizabeth Keckley. In 2009 as we were preparing an exhibit we called, “Lincoln in the Library” we were looking closely at the items from our collection related to our 16th president. One of the more interesting books in our collection was Behind the scenes, or, Thirty Years a Slave and Four Years in the White House. This book by Elizabeth Keckley is a real treasure. This memoir was written shortly after the Civil War and published in 1868. It was intended as a defense of Mrs. Lincoln who was under intense, and mostly negative, scrutiny at that time. 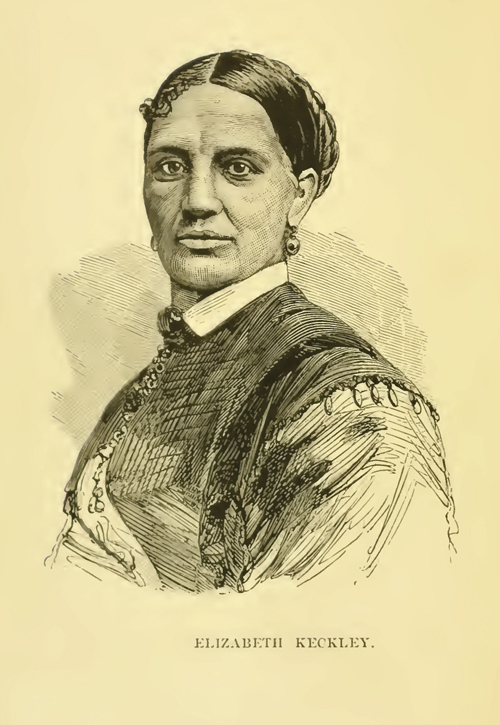 Elizabeth Keckley was a black seamstress with a substantial D.C. clientele. Her story is amazing! She was born into slavery and taught to sew by her mother. She eventually purchased her freedom and that of her son. She was incredibly talented and hard working and built quite a business in Washington, D.C. Elizabeth had an influential clientele in the District and among them was Mrs. Jefferson Davis, later the First Lady of the Confederacy. Keckley created Mary Todd Lincoln’s inaugural gown and, based on that excellent work, became Mrs. Lincoln’s friend, constant companion and dressmaker. Through this service, Elizabeth Keckley became very close to Mary and was, in fact, her closest friend and confidante in Washington. It seemed that this woman understood the temperament and sharp tongue of Mrs. Lincoln. Here are some links for more information on this fascinating woman. This is an article from the Washington Post about the efforts to find her grave and place a marker on it. This is a brief biography of Keckley which is part of a web site from the Lakewood, Ohio Public Library that focuses on women in history. The book was “controversial” and Robert Todd Lincoln, the only surviving child, had the publication pulled. Yet some copies survived and there are reprints available, including one on the shelves in the Lilly Library. It reads like a chatty session with a very dear friend. If you are interested in the Civil War, or Lincoln, or just a good read, I would recommend this fascinating memoir.